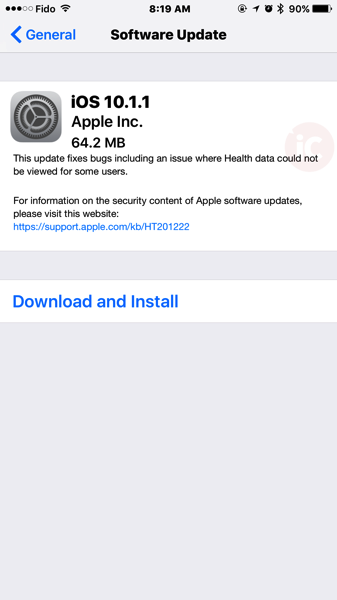 In a surprise update Monday morning, Apple has released iOS 10.1.1, a minor update which says it fixes an issue with missing Health data that could not be viewed “for some users”. You can get this update by going to Settings > General > Software Update to install it over-the-air. The download comes in at under 70MB. You can find the standalone downloads for iOS 10.1.1 below. If your device is listed, you can install the update over-the-air or through iTunes.